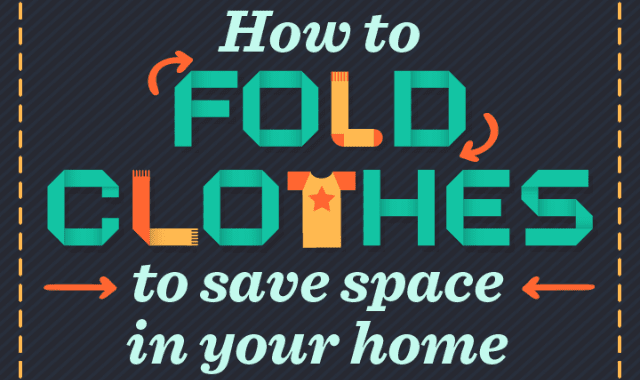 How to Fold Clothes to Save Space #Infographic ~ Visualistan '+g+"
Folding clothes is supposed to be simple. Our parents teach us to do it when we’re still kids – though it may take a while to catch on. By the time we have our own place, putting our clothes away neatly feels like second nature. But are you making the most of the space you have available in your drawers? Have a look!